Got birthdays coming up in the midst of the holidays? 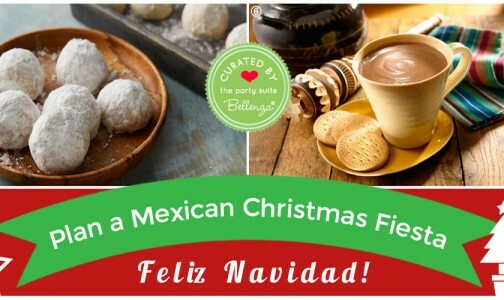 Then, you might as well take advantage of all the Christmas cheer (and decor and food and sweets)! 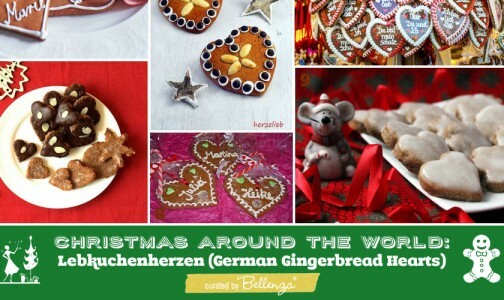 Hop on to that sleighride of snow-themed party ideas, yuletide themes, or even non-holiday motifs that evoke the magic, wonder, and sentiment of the season. You’ll see what we mean with this showcase of 10 Children’s Birthday Themes and 10 Grown-up Birthday Themes from our own posts and styled sets. 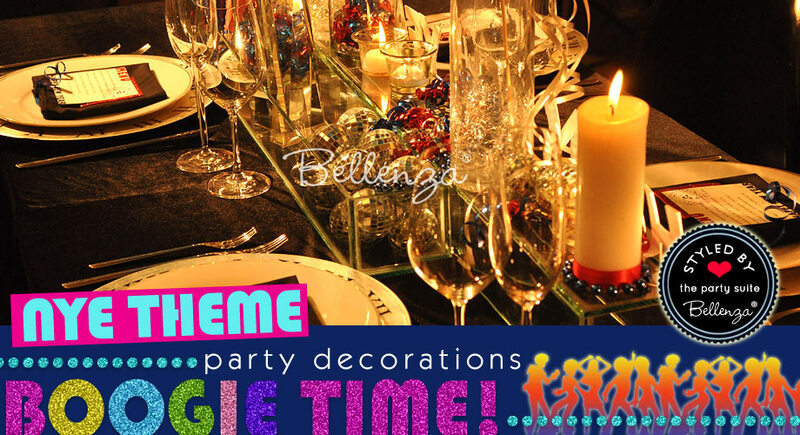 Get ready for some wonderful inspiration for planning a truly special birthday bash this December! 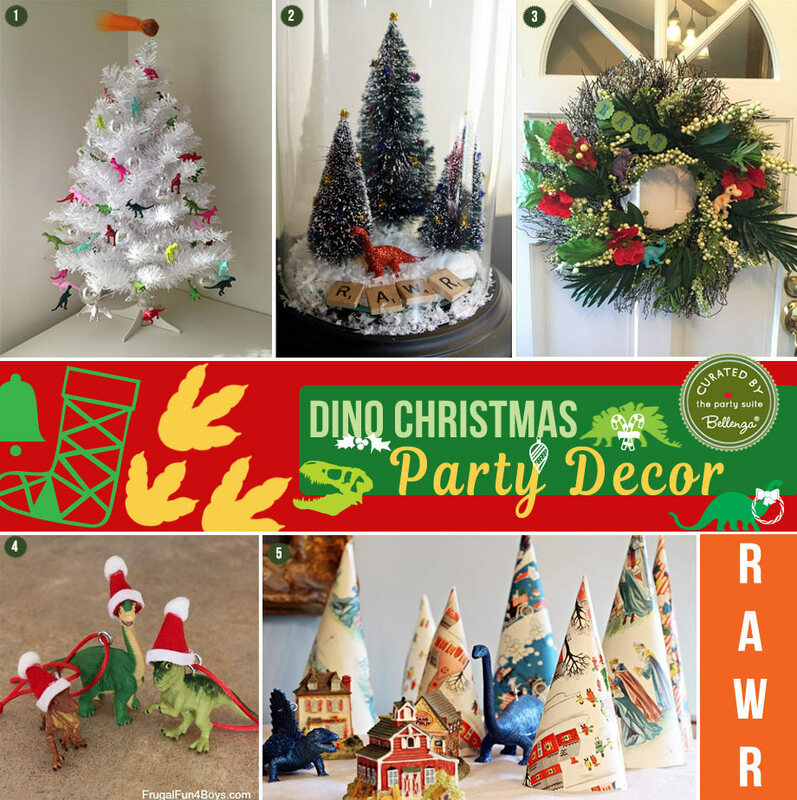 For the little dinosaur fanatic in your family, plan a whimsical take on a birthday event that combines Cristmasy elements with dino details. Think colorfully painted toy dinosaurs as tree and wreath ornaments, place card holders, party garlands, and “visitors” inside snowglobes or stomping through a tabletop Christmas village. Serve dino-shaped cookies, dino-topped cupcakes, and a dino-themed birthday cake—with fun holiday trimmings added. And the best thing is nearly all of the party elements can be DIYed! 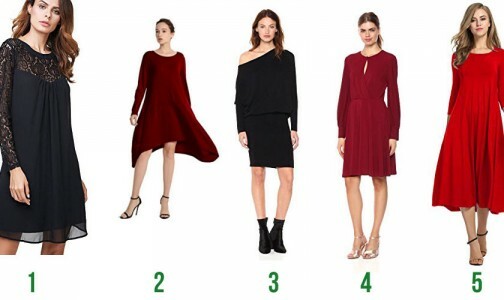 This may seem a little “out of this world” for a holiday season party. But not at all! 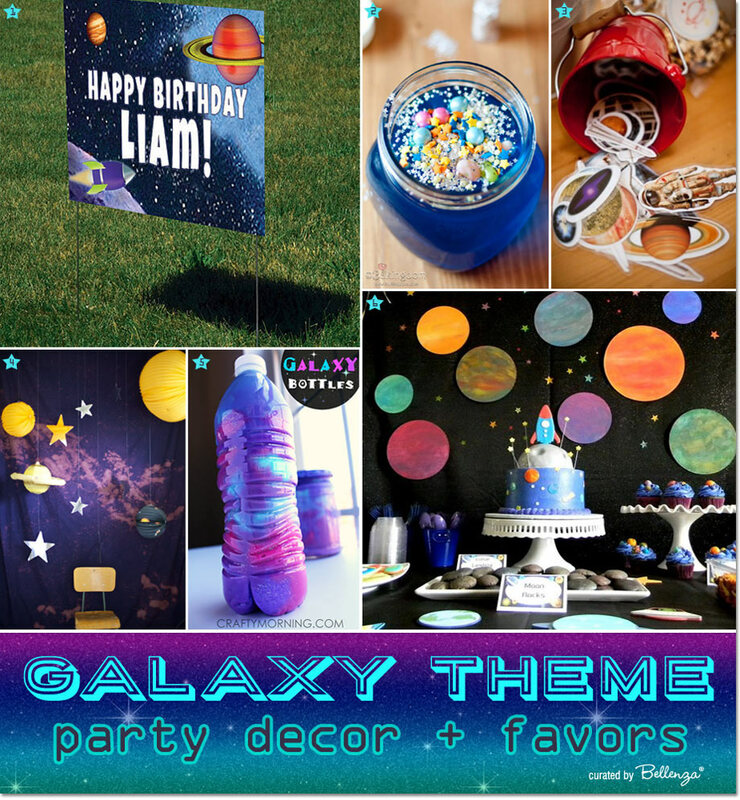 A galaxy theme offers all the makings of a magical wintertime occasion—stars, twinkling lights, glow-in-the-dark touches, sparkle and glitter on table settings, centerpieces, backdrops, overhead garlands, even on baked goodies like donuts, cupcakes, and the birthday cake. For a Christmas spin, you can have an “Astronaut Santa” and his elves in cool spacesuits, ready to deliver gifts aboard a toy rocketship. 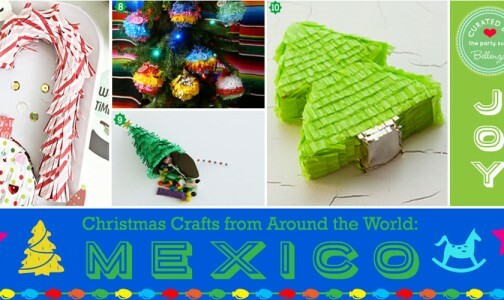 Plus a Christmas tree with star and planet ornaments that the little guests can take home as favors. 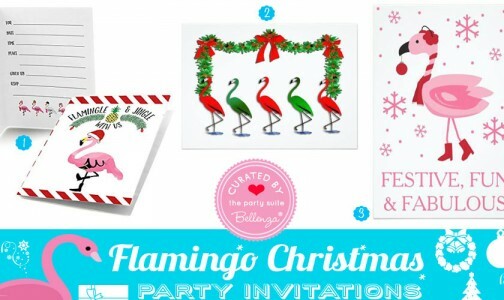 The stuff of childhood Christmas memories is what this party theme is all about! 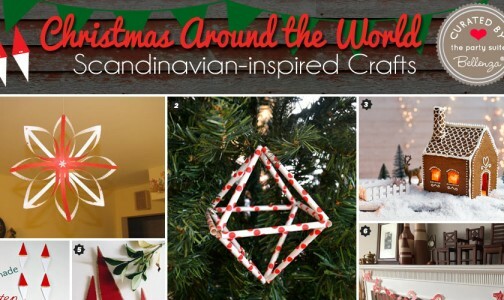 Symbols of the season everywhere, all in a festive red and white palette—snowflakes, berries, a nutcracker, reindeer, red Christmas balls and tinsel garlands, a gingerbread house, cheery polkadot and striped patterns. Even your party treats can be “in color”—strawberries dipped in white chocolate, red velvet cupcakes, cherry jell-o cups, white meringues, white-frosted donuts, served with red Christmas kiddie punch. And for photo booth props, prepare Santa hats, Rudolph noses, Christmas-lights necklaces, and a big red Santa gift sack filled with party favors for the kids. 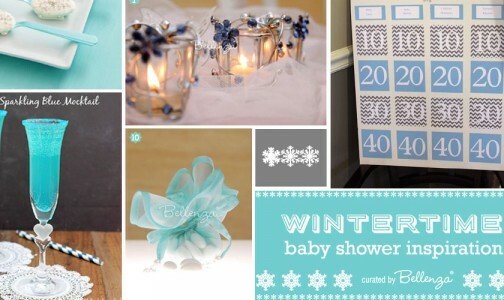 There’s a woodsy, outdoor aspect of the winter season that would make an absolutely charming birthday theme! 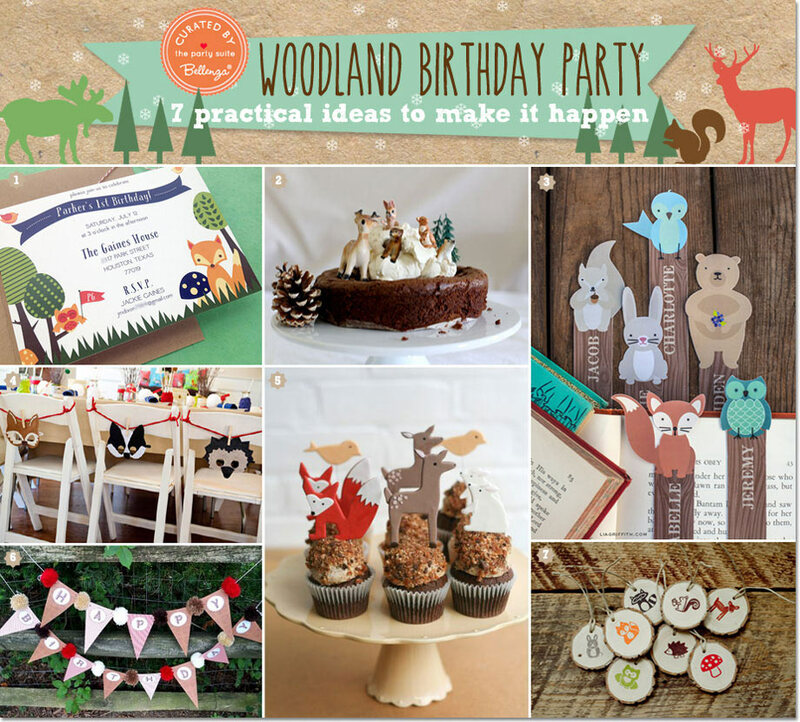 Have the cutest woodland creatures pop up all over the party venue—as part of the place settings, garlands, chair decor, game and photo booth props, party favors, all the way to scrumptious baked goodies including the birthday cake. For party activities, you can have woodland animal hand puppets, an outdoor scavenger hunt or “Bring Me” game involving finds from the forest, and acorn and pinecone painting to make Christmas tree ornaments. 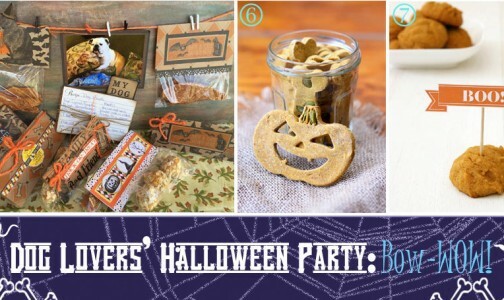 With such a popular theme as this, sourcing decorations, party supplies, paper products, and even treats and sweets is a cinch! 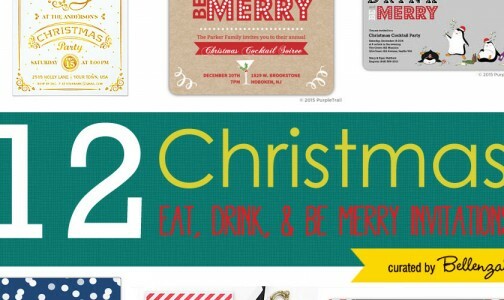 Just invest in a few of these cheeky little Elf figures (you can use them year after year) to set the scene, and the rest of the elements you can semi-DIY from store-bought items and pre-baked goods. 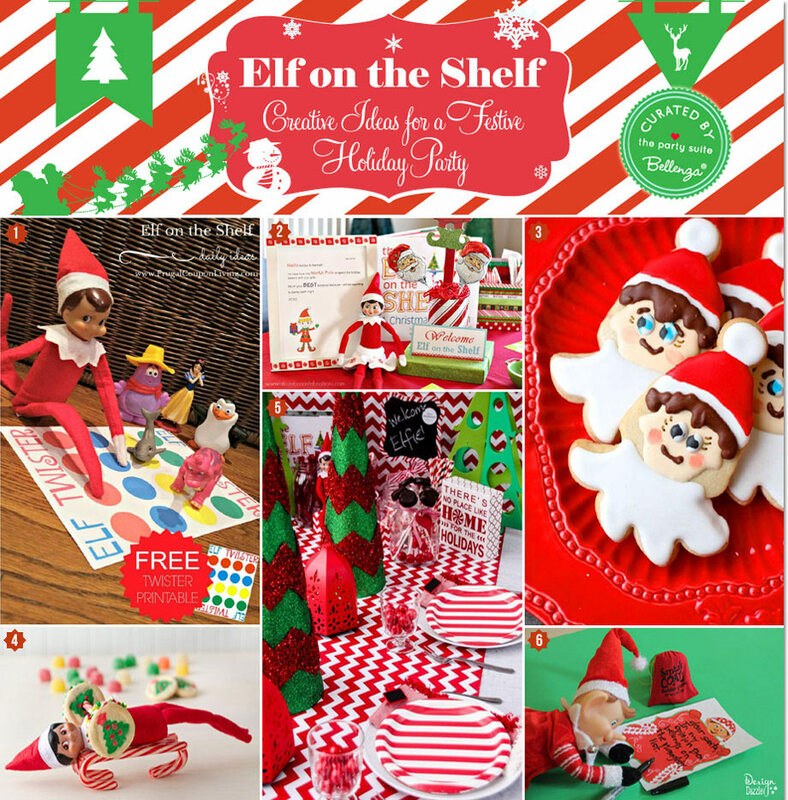 Create elf-themed games like Bingo, word search, ring toss, an elf dress-up relay race, an “elf hunt” or buy an Elf on the Shelf board or card game for kids. 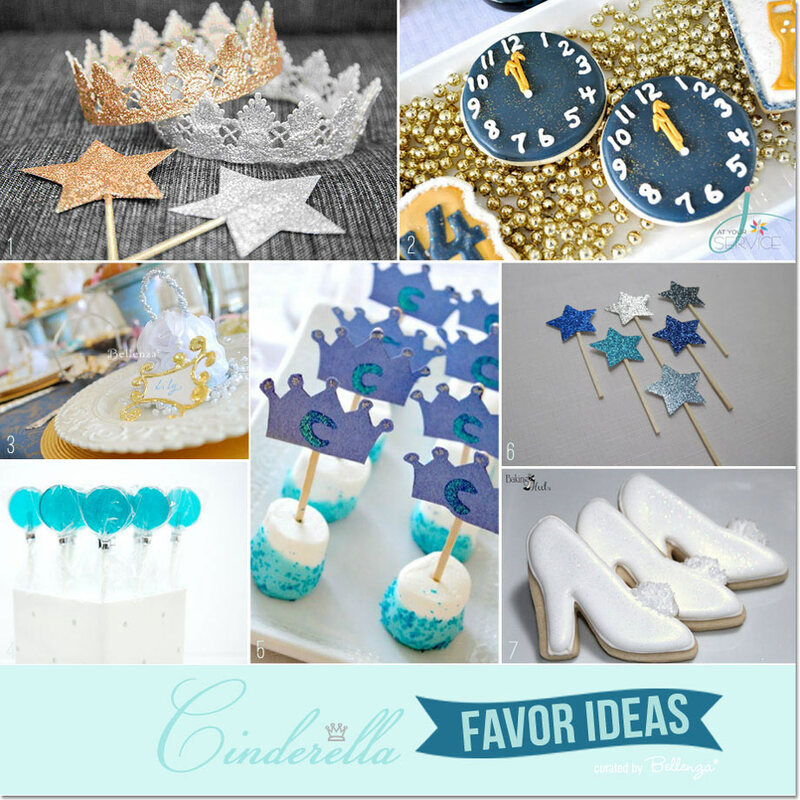 Like the galaxy theme above, a Cinderella theme may not seem exactly Christmasy. But it’s certainly “wintry” decked out in Cinderella’s iconic blue with lots of bling, sparkle, and glitter. Prepare royal details like sparkling star wands, tiaras made of glitter-covered lace, crown treat-toppers, and iced cookies in the form of clocks set to midnight and glittery glass slippers. Since little girls love dress-up games, have a Cinderella gown and all the accessories ready for a “Princess photo shoot.” And for party favors, give out blue crystal lollipops, rock candy sticks, and little trinkets in rose pomander favor bags. 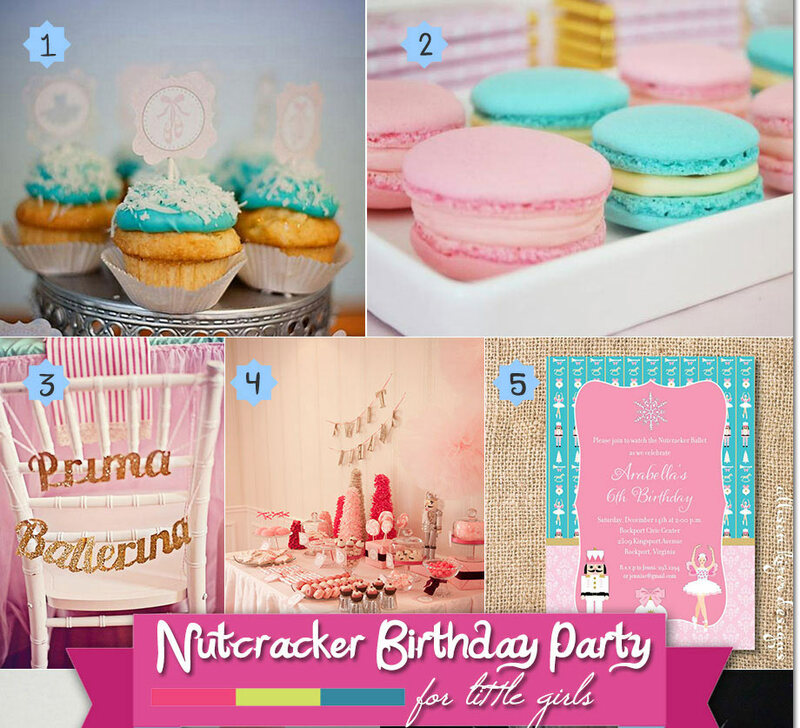 Is your aspiring little prima ballerina celebrating her birthday this December? Then, the holidays provide the perfect chance for her to be Clara from the beloved Nutcracker Suite ballet! Create the most darling pink and aqua party setting with lots of tulle, dainty bows, and lace—and of course ballet shoes and tutus. Serve pink and aqua macarons, frosted cupcakes, and the sweetest ballet-themed cake. And have the classic Nutcracker soundtrack playing in the background, while the guests play games like “Pin the Tutu on the Snow Fairy,” Nutcracker Suite playing cards and jigsaw puzzles, coloring sheets, and relay races on demi-pointe! 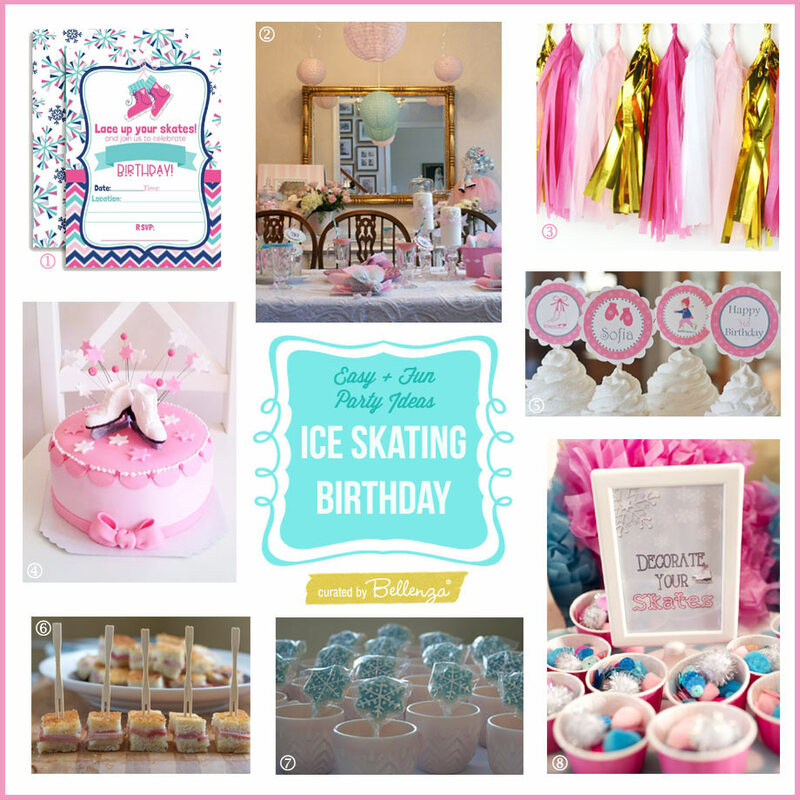 Here’s another adorable pink and aqua party theme—this time, for the budding figure skater in the family! 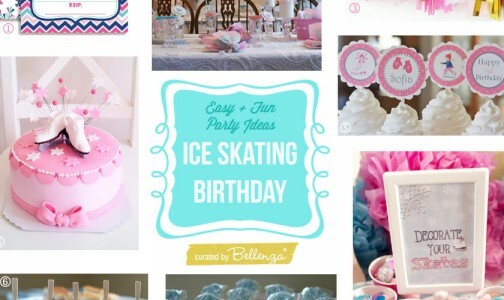 Recreate a snowy scene even indoors with snowflake and snowball elements in the venue decor, the table settings, frosted cookies in kiddie mugs, and a birthday cake topped with a mini pair of skates! 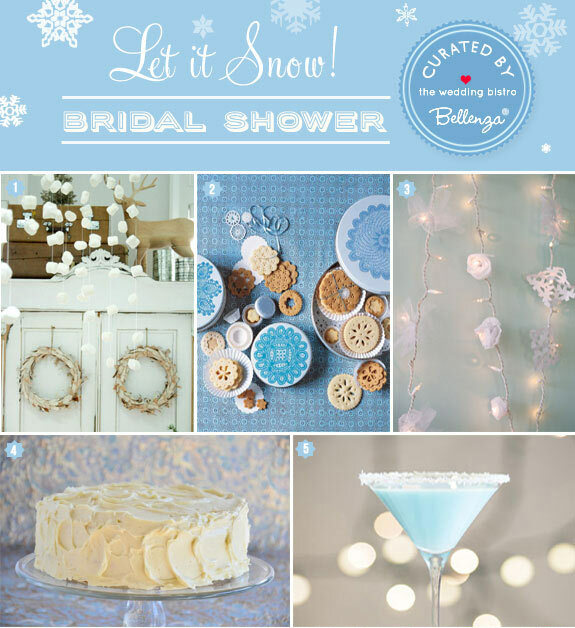 More wintry references could be strands of cotton balls “snowing down” from the ceiling, fluffy cotton candy, crystal rock candy on sticks, and pretzel rods dipped in white chocolate. Set up a pretend-skating rink indoors for the littlest guests, and a small outdoor skating area for the older ones. For party favors, give knitted mittens filled with white candies or mini mason jars of hot cocoa mix. 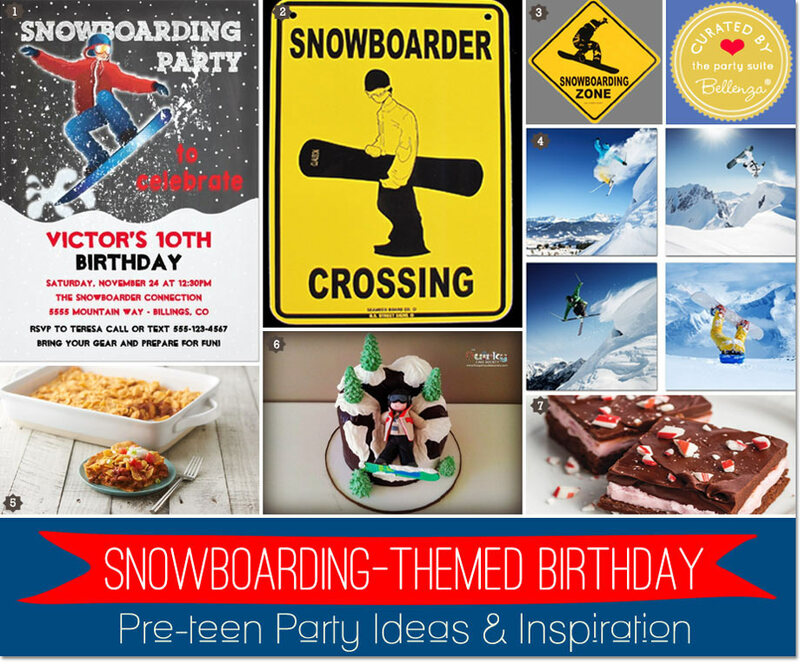 For a pre-teener who loves winter sports, a snowboarding theme is a sure-hit choice! Have cool signage, posters, and other decor play up the sporty motif. If you’ve got the outdoor venue for it and the ideal snowy weather, plan for an hour or so of active snowboarding play. 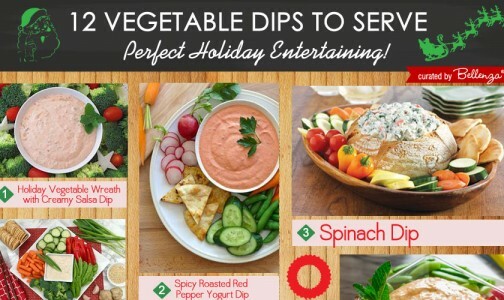 Then, welcome the guests back indoors with a hearty casserole, refreshing drinks, and yummy holiday treats. As the party winds down, give snowboarding accessories and novelty items as favors—and perhaps a snowboarder ornament for each guest to hang on his or her Christmas tree. 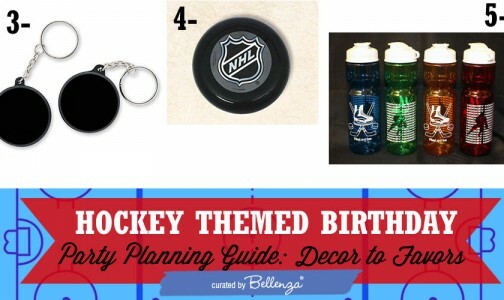 For a teen celebrant who’s an avid winter sports player or fan, a hockey birthday party theme would be great!. 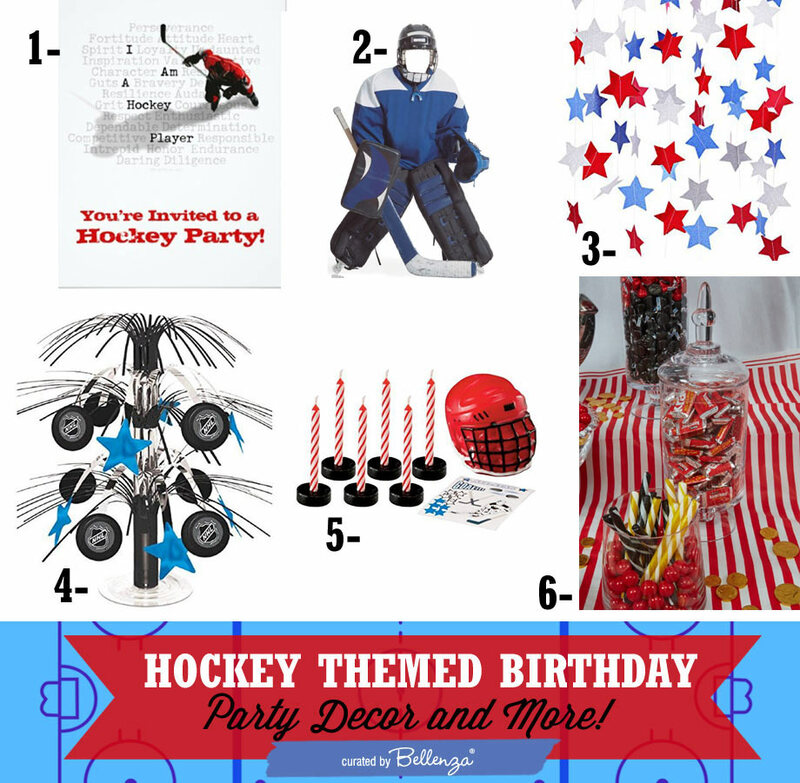 Hockey-inspired party decorations, supplies, and novelties are readily available online. 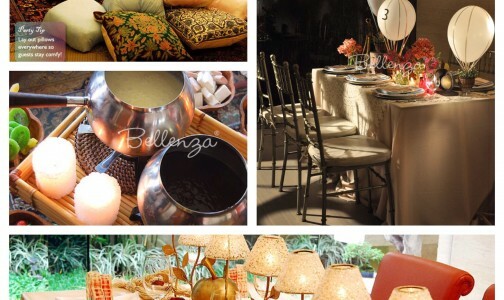 So all you have to do is mix and match these to create semi-DIY centerpieces, backdrops, garlands, and table elements. For party treats, look for clever ones resembling hockey pucks, helmets, and the players’ striped jerseys. And as activities for the guests? Prepare an outdoor hockey goal (or a scaled-down one if indoors), plus a set of hockey sticks and pucks for the guests to practice making goals! Now, it’s the adults’ turn! 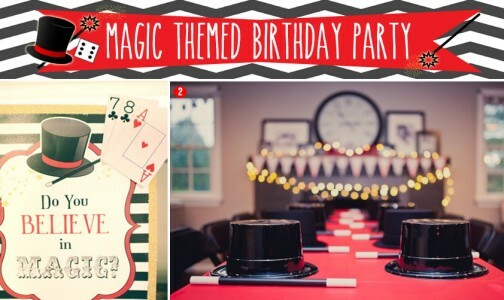 A classic Casino Night birthday theme is made easy thanks to ready-made party props, supplies, decorations, and accessories. 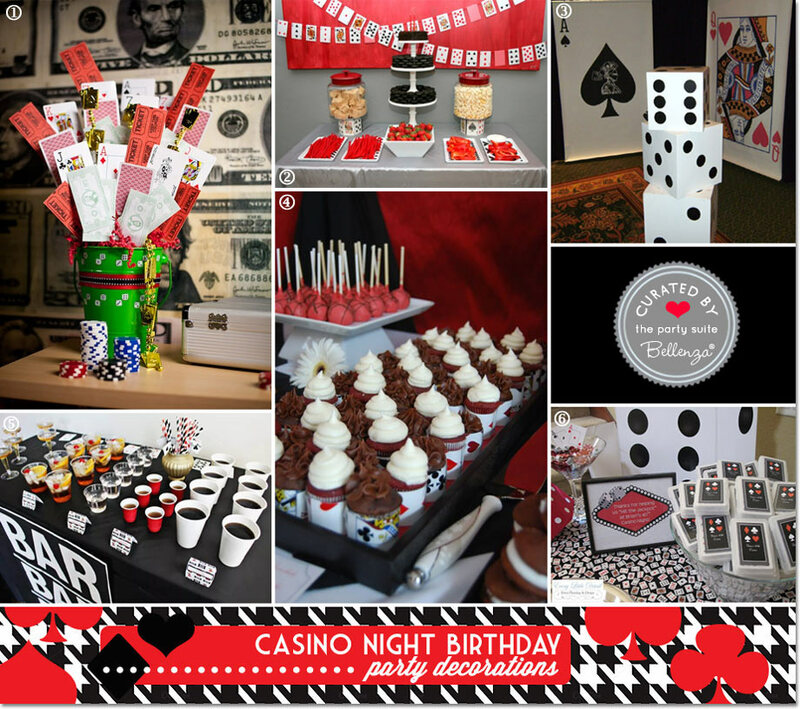 Just keep within the color palette of black, white and red as you decorate with playing cards, poker chips, dice and other Vegas-style accessories. 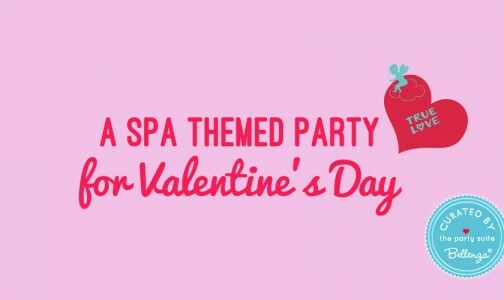 Assemble desserts and drinks stations offering a selection of black, white, and red edibles like cake pops, Oreo cookies, chocolate bars, and jell-o cups, and beverages like colas, red wine and cocktails, coffee, and tea. Talk about a cool party theme! This has got to be it. 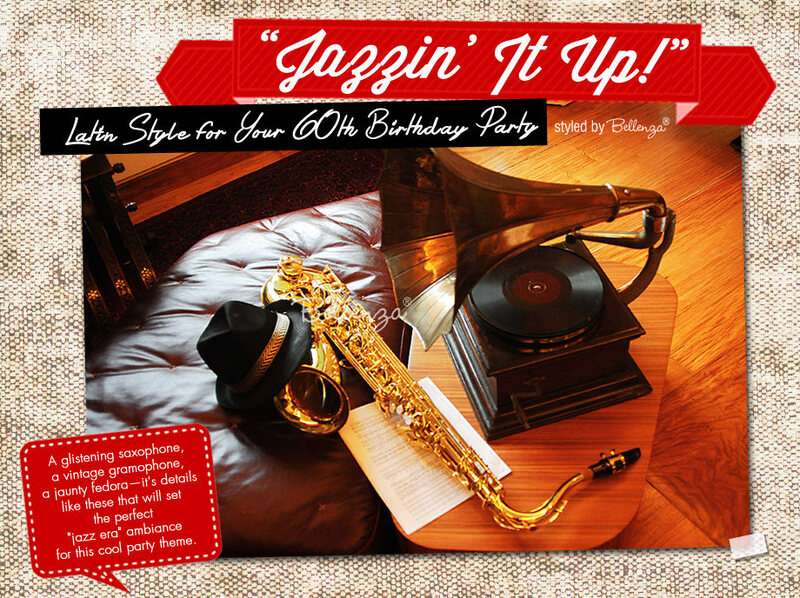 Evoke the retro vibe of a Latin bar or club in the ‘50s with leather-covered mid-century style furniture, a piano, and any jazz instrument you may have (or can borrow)—like a saxophone, trumpet, or trombone. For decorations and tablescape details, incorporate old jazz album jackets, mini posters, postcards, music sheets, and vinyl records. Prepare games like “Name That Jazz Tune!” or a jazz trivia challenge, then have guests pose for pics “playing” an instrument. 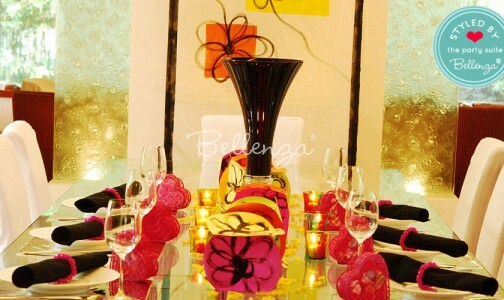 This themed set we had styled for a New Year’s Eve party. But it would work fabulously for a disco or boogie dance birthday bash, too! Create a modern, edgy look with tablescape elements like the centerpieces, place settings, menus and place cards using metallics, acrylic, and glass. True to the throwback disco era, incorporate lots of glitter and bling, flashing lights, and of course a mirrored disco ball. Provide ‘70s inspired costumes and props, like wigs, oversized shades, huge pendants on chains, bell-bottomed pants, and platform shoes. Then, let everyone dance the night away to classic disco tunes! 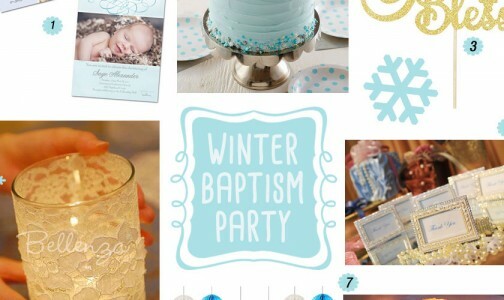 A totally different winter party ambiance comes with this “chill” Let It Snow theme. Start with a base palette of icy blue and pristine white to create a serene snowy effect—enhanced by decorative snowflakes, snowballs, and twinkling fairy lights. Add a few rustic touches like farmhouse-style furniture and wooden frames, again finished in white and blue. 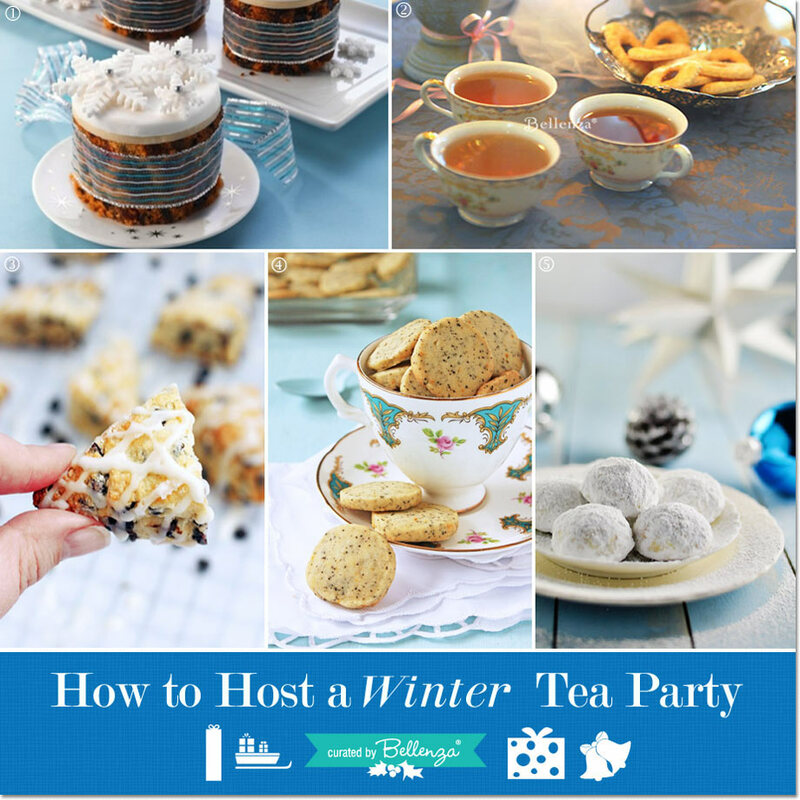 Have guests sing along to winter-themed ballads like “White Christmas” and “Let It Snow.” Then serve a snow-frosted cake, sugar-dusted confections, and blue holiday cocktails; with tins of snowflake shaped cookies to give as party favors. 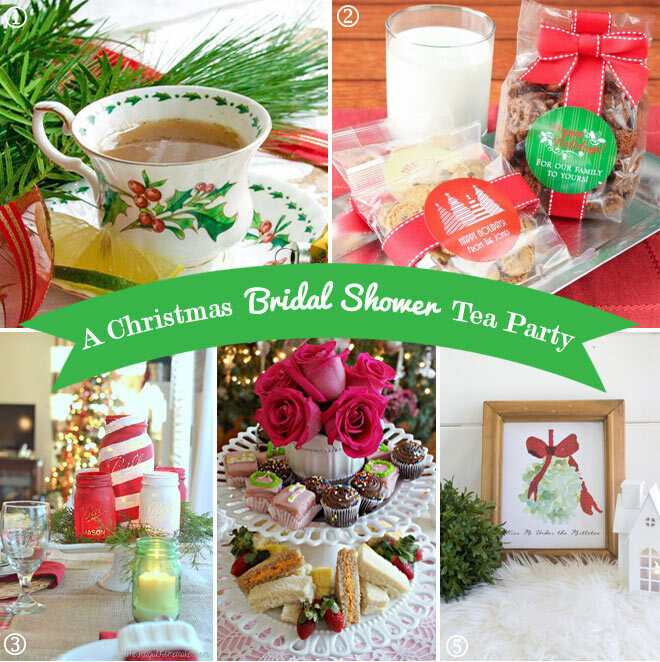 Capture the nostalgia of a vintage country-style tea party at Christmastime! Bring out your holiday-patterned tea cups, and dainty pastry racks and cake stands to display a scrumptious assortment of tiny tea cakes and finger sandwiches. Add tabletop lanterns and candle holders, sprigs of holly and berries, evergreen garlands, pinecones, bows, and Christmas balls. Enjoy holiday Bingo, card games, and board games, or have guests craft their own Christmas cards, gift tags, or tree ornaments. 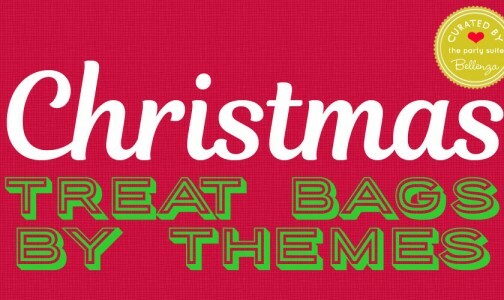 Then, send them off with favor bags of holiday-flavored tea, winter potpourri, and pine-scented candles. 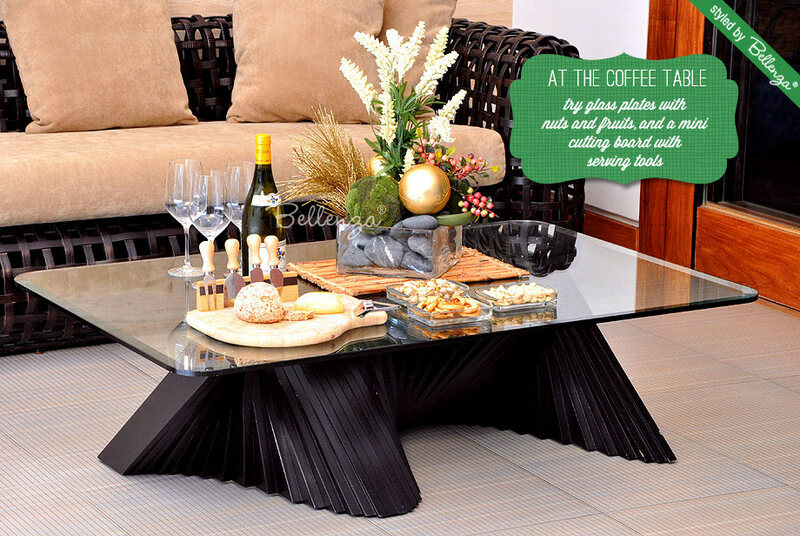 Think coffee table style entertaining for this casual yet elegant birthday theme. 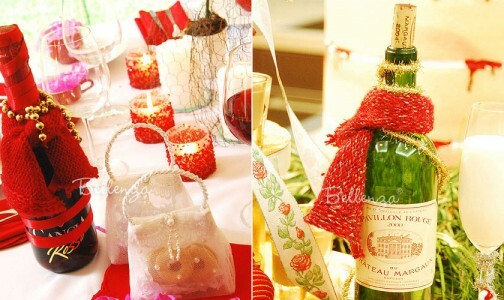 Provide guests with a table spread of your favorite wine and cheeses. Put an international spin to it with a medley of French, German, Italian, and Spanish cheeses. Keep your décor simple with lots of candlelight, berries, pinecones, and garlands. Keep the conversation at the party going with fun board games like Cards Against Humanity, Trivial Pursuit, and Monopoly. Here is a different take on a holiday season tea party. Instead of the cozy country feel above in hues of red and evergreen, create a more stylized winter look with tea sets in blue and white heirloom patterns. Have dainty cookies, pastries, scones, and mini cakes frosted, dusted, or glazed in white and served on doily-lined plates or silver baskets. Add table accents of silver-painted pinecones, sparkling stars, and blue Christmas balls. As party favors, give crocheted or crystal tree ornaments, personalized tea cup and saucer sets, or little jars of blueberry jam. 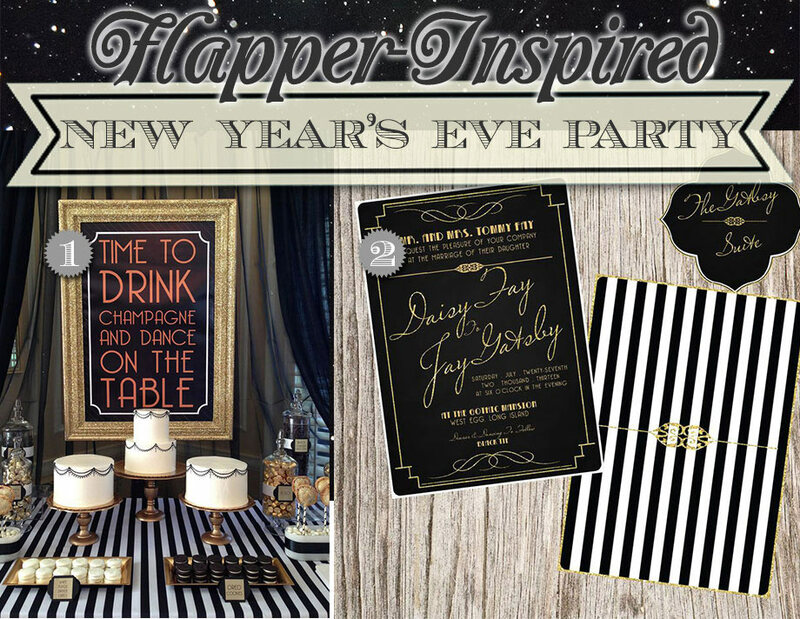 Old Hollywood glamour circa the “roaring ‘20s.” That’s the peg for this flapper-inspired party theme that would be fab for a 40th or 50th birthday celebration! 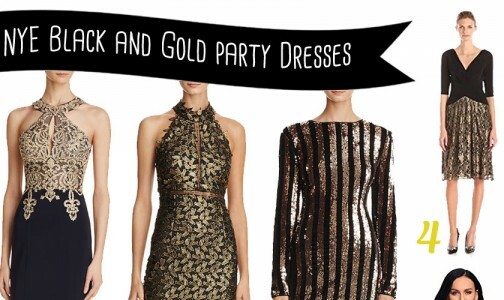 Go with an elegant palette of black and gold. Then, bring on extra-luxe elements like ostrich feathers, strands of pearls, bubbly champagne in stylish flutes, glistening silver trays and charger plates. Lay out a dessert display of cakes, cookies, and candies all in black, white, and gold with an Art Deco-style backdrop sign. Have guests take on-the-spot ‘20s dance lessons from an instructor, then give mini bottles of champagne as party favors. 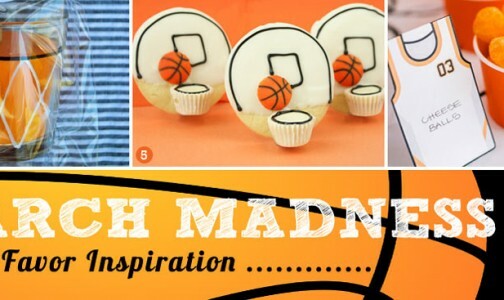 With fall to winter being football season, there’s no reason why a sports fan can’t have a birthday party planned around this theme. The decor approach can be quite stylish, using turf green and matte gold as the base colors, set against rustic wood-grain surfaces and woodland-inspired accents. 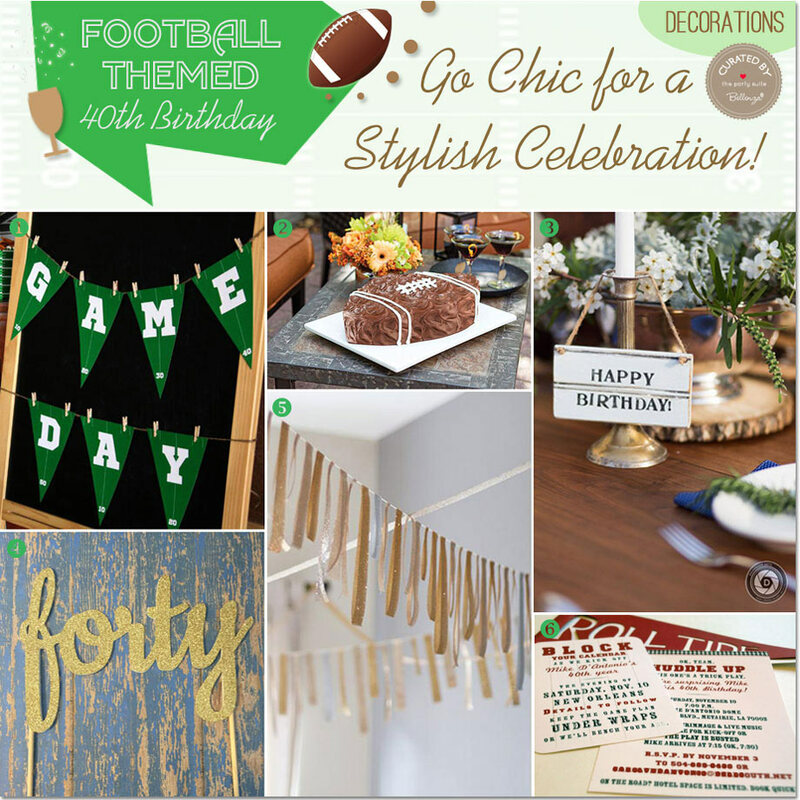 Mix sporty elements, like a Game Day pennant sign, “football turf” runners lining the food buffet, and a football-shaped birthday cake, with formal place settings with real china ware, wine glasses, and candelabra. For the menu, too, combine stadium staples like burgers, hotdogs, chips, and fries with soup, salad, and a cheese board. Then, as guests prepare to leave, give each one a glass beer mug with their engraved monogram. 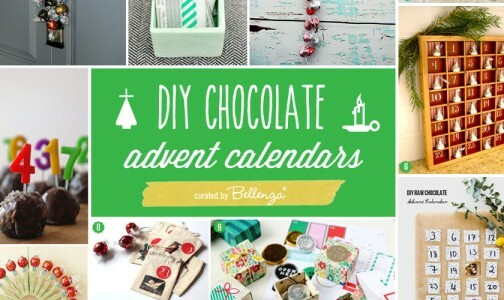 Wondering if you can have a December birthday theme that’s both playful and sophisticated? Certainly! See how the signature red and white stripes of peppermint set a festive, vibrant mood—while elegant elements like crystal wine glasses, beaded votive holders, and silver candy baskets up the style factor. 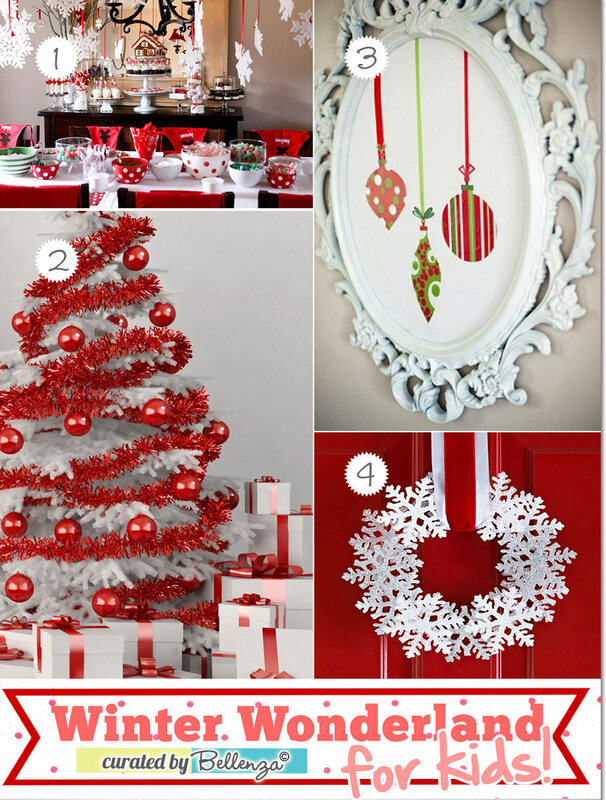 The key is to keep to the red and white palette in the table linens, chinaware, party menu, desserts, and drinks. 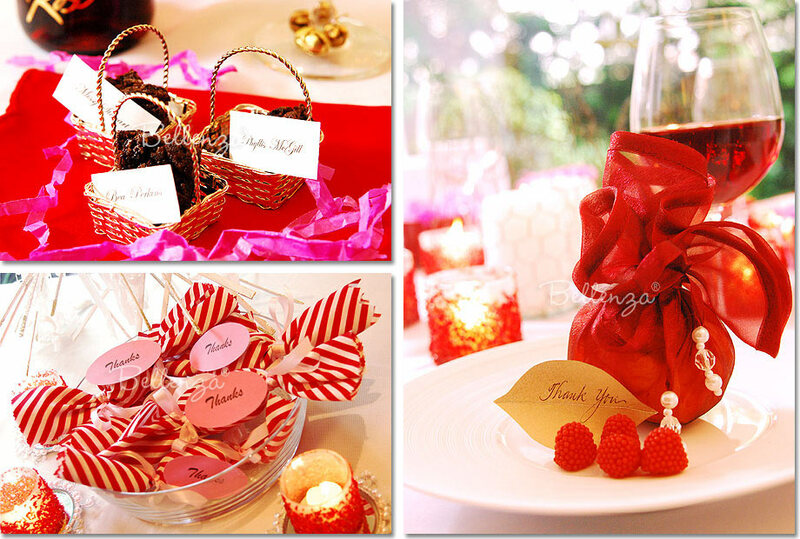 Even the guest favors play up the colors, both in snappy striped candy bundles and in caramel apples bundled in shimmery organza wraps.